This exercise can increase circulation and provide release to the places where the lateral quad meets the ITB band. To do this exercise you will need a foam roller. Start facing sideways sitting next to the foam roller, which is perpendicular to your body. Place your hands on the other side of the foam roller and then lift your hips into the air and place your bottom hip just on top of the roller. 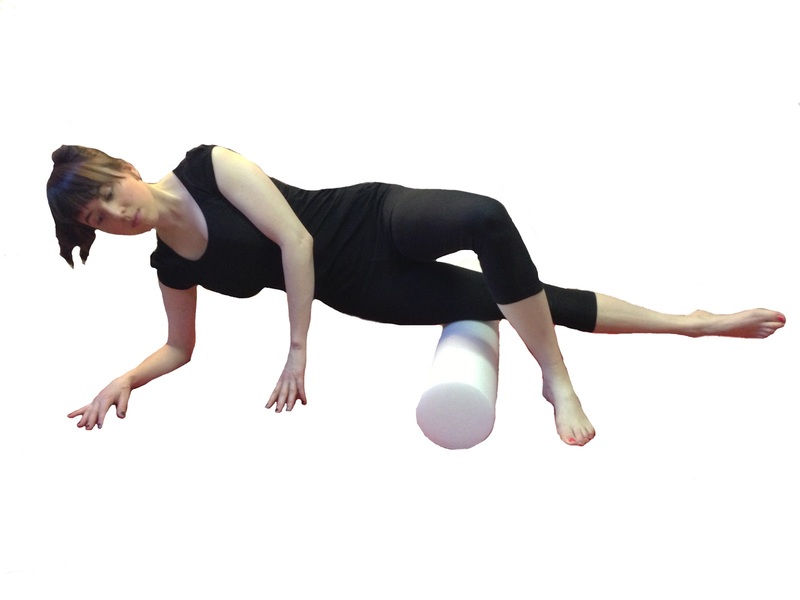 Then roll just slightly forwards so that the roller is pressing into the “corner” of your leg. Follow this leg down toward your knee and then back to your hip 3-5 times on each side. Like I said yesterday, this exercise might hurt quite a bit while rolling, but it should never hurt after you roll. There should be no bruising or joint pain. In any of these occur talk to a health professional. Be sure that you are aware of your shoulder organization as you roll from the knee to the hip and back. You want your shoulder blades to slide down your back and your neck to be long.